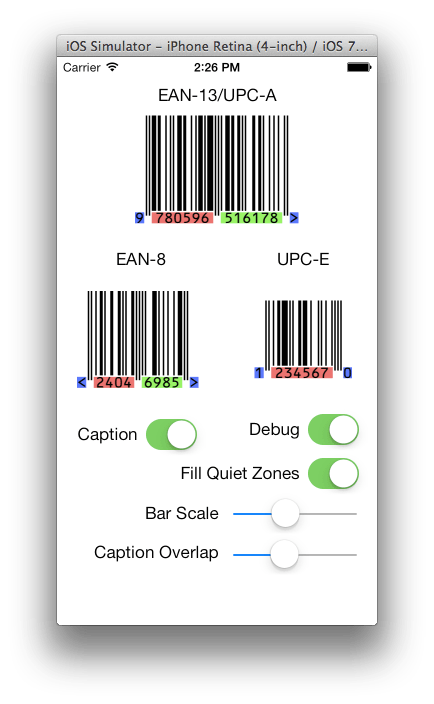 BarCodeKit is supposed to allow for generating 1D bar codes for whatever use you might have for them in your apps. I got the fork to run on my iOS device, but it didn’t even produce correct codes. This is where my research stopped. So I decided to start BarCodeKit and structure the whole thing in a way that is easy to understand and extend. I like to re-invent the wheel wherever feasible if it teaches me something and the outcome is better than the original wheel. Better insofar as that it is using modern object-oriented technologies, ARC, is platform-independent and simply the only thing you want to use for the purpose. At the time of this writing I have the most basic bar code types done. Those include the ones that are used to represent products codes on physical products. Code 39 I found in use on a Netgear product label where it specifies MAC-address, serial number and product code. I structured the codes around individual “code characters” which are a pattern of bars described by a bit string. All characters derive some basic functionality from BCKCodeCharacter. 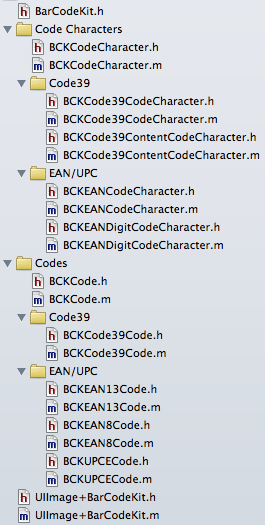 All codes share BCKCode as root. All characters know what pattern of bits (1 for bar, 0 for space) is representing them. This enables all drawing to be BCKCode. From implementing what we got so far I learned that there are several different things people might want to customize for output of their bars. Because of this I didn’t implement a fixed way to draw them, but allow the user to pass rendering options. The codes are model objects and don’t deal with views, instead they have a method sizeWithOptions: and renderInContext:options: that allows you either provide a PDF or a bitmap context to draw the bar code into. 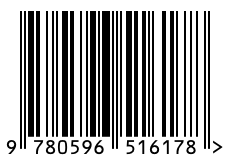 For example to create a bitmap of code you would use this code, provided in UIImage (BarCodeKit) category. The reason for this approach is that typically a size of the output bar code is related to the width of the bars. If you make the bar width thicker, then whole code would grow in required size. If you want a larger bitmap you would increase the bar width multiplier. Also the EAN variants typically have a standard aspect ratio which increases the needed size, whereas Code 39 you normally want to have with a fixed height. As time goes one I am certain that additional options will become necessary, like to set a fixed bar height or specify colors. Those will depend on the use cases that developers will want to use it for. BarCodeKit is very simple to implement. You create an instance of the code you want to generate and then call the above mentioned category method. Of course there are many more things to do with this, like to add proper unit tests and additional codes, like Code128. But again, those will have to largely depend on public interest in this framework. I have implemented a simple demo app which lets you play with some of the options to see their effect. As work progresses on BarCodeKit this might change quite a bit, to accommodate additional codes and code-specific options. Update: Documentation is now available. In the near term future BarCodeKit will remain closed-source to preserve the competitive advantage that it provides to people who are willing to spend a little money on acquiring a license. Introductory price will be 150 Euros, which will give you full access to the private git repository where it is being developed. If you are interested in adding features (i.e. additional bar codes) I would waive the fee in exchange for your contributions. It largly depends on the interest of the community in which direction this project will evolve. We will see, however for now I need to make a little bit of money with it. Either way, please contact me if you have a project that would benefit of BarCodeKit.